I’ll make on thing clear from the start: Not being familiar with the concept of a ‘Dessert Bar’ is entirely justified. I was also blissfully unaware of the glorious possibility of incorporating a dessert menu with a bar but now realize that this was Berlin B.C. as in ‘before CODA’, and refers to the time we only went to a bar to get drunk. 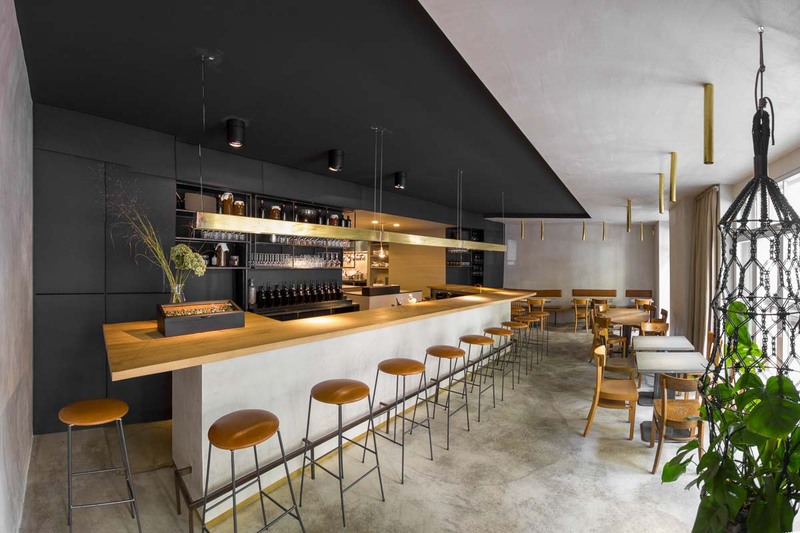 CODA, that’s the trailblazing dining concept in Neukölln, located on Friedelstraße behind number 47. 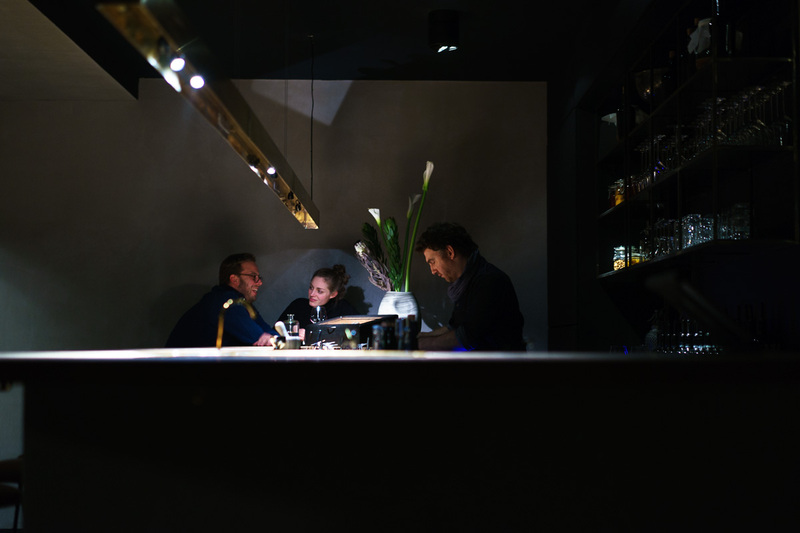 Behind the unassuming facade you’ll find an exceptionally cool restaurant venue, dark and minimalistic, with concrete tables and a bathroom hidden behind a wall. 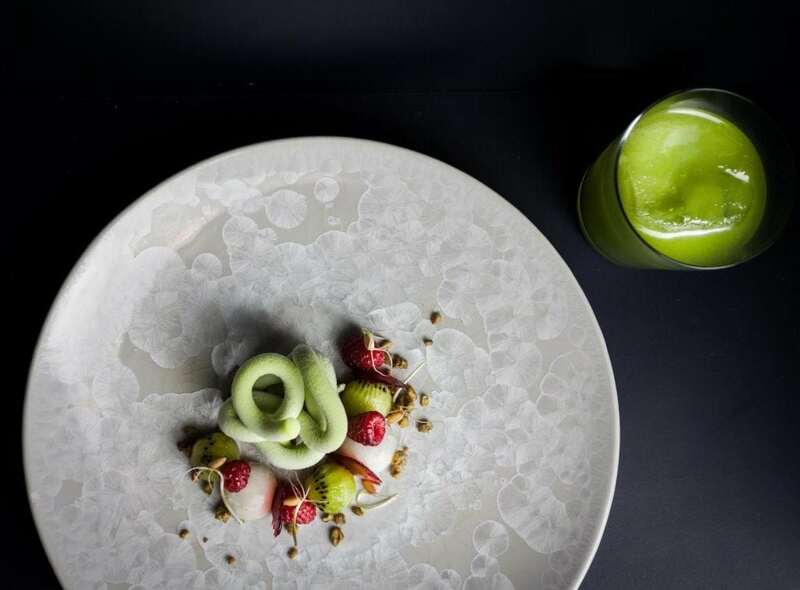 This is the home of CODA, where elaborate fine-dining desserts are served alongside stellar cocktails in a project whose reputation righteously already extends far beyond Berlin’s city borders. 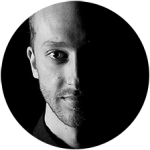 The mastermind behind CODA goes by the name of René Frank, a man loaded with accolades from the German fine dining scene. 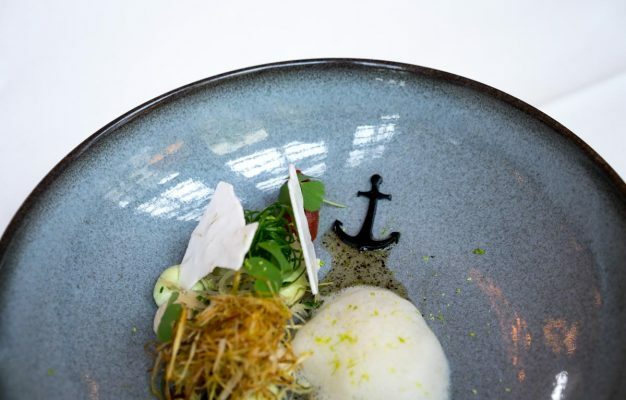 His 17 year long resumé as a chef, where only the last years focused on the pastry side, includes the recent role of Head Pastry Chef at the three Michelin-star institution, La Vie, in Osnabrück. 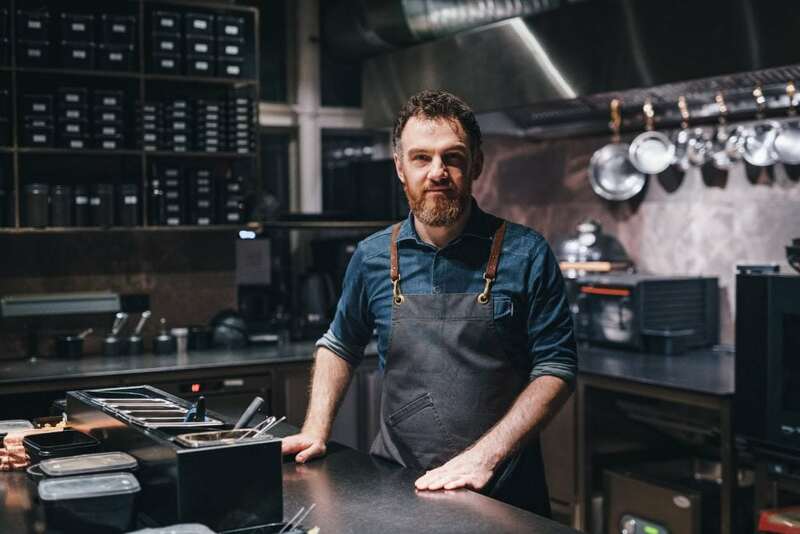 When designer Oliver Bischoff approached him one day with the daring proposal of opening a dessert bar in Berlin, René didn’t hesitate. With a personal scope that’s always been set beyond Germany and culinary heroes like Will Goldfarb, the prolific NYC-now-Bali restaurateur is famous for opening several dessert bars, and CODA was the perfect opportunity for René to realize an ancient dream of his: A high-end patisserie merged into a cocktail bar where food, drink and service are held to the highest of standards. 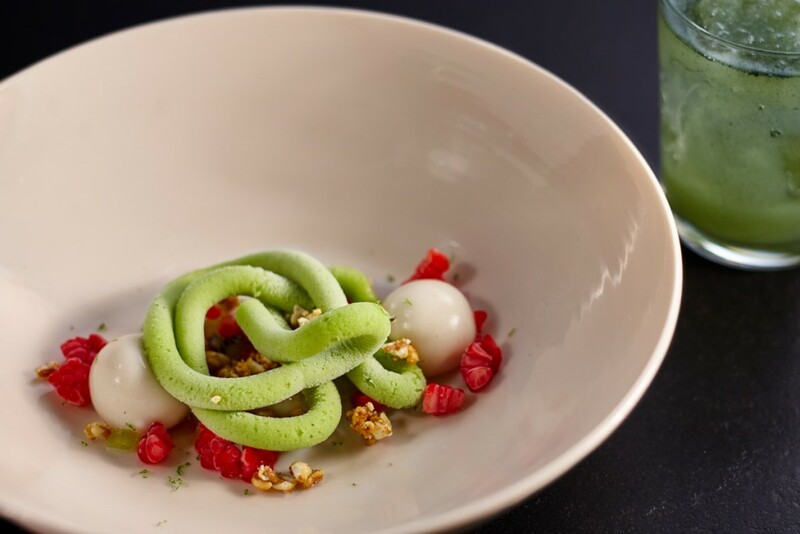 I might not have had an idea what to expect the first time I walked into CODA, but for every new dish and drink pairing that’s arrived on my table since, the concept has made more and more sense to me. CODA is full of possibilities, come here for a full six-course tasting menu or just pop by for a drink. The food can be a dinner by itself, a snack, or a glorious second dinner. The latter is a particularly glorious recipe for a sensational Berlin night. You’ll pretty much always have room for Chef René’s desserts as his philosophy is based on no added sugar and light ingredients. 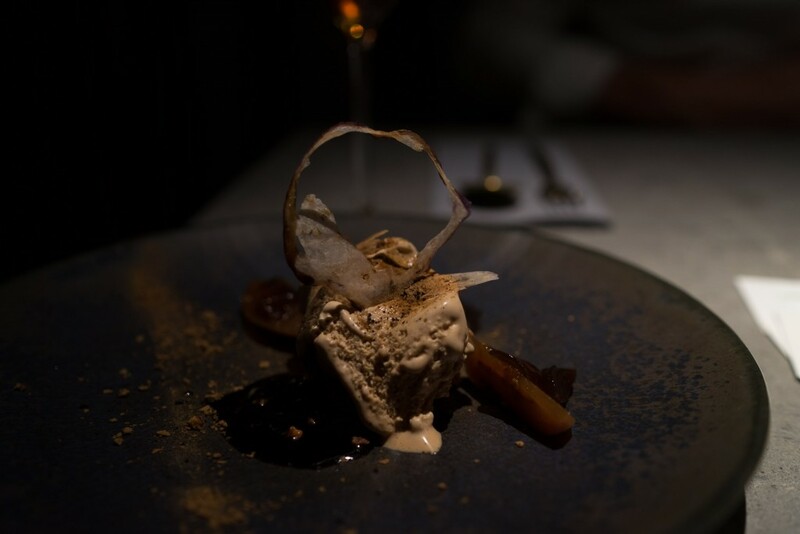 His signature chocolate dessert, where a light chocolate mousse is served with a pickled plum ice cream, tonka bean ice cream, dried plums, chicory sauce and coal dust, might sound pretty crazy but is really one of his safer crowdpleasers. 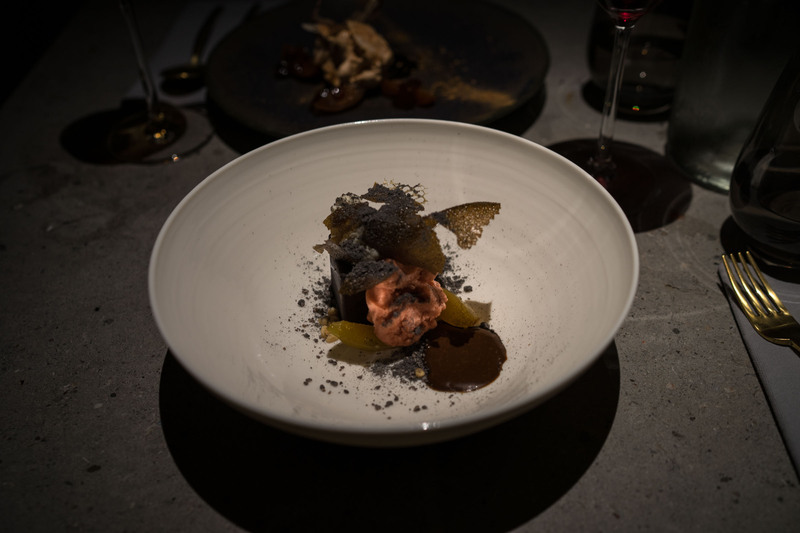 The dish arrives on your table in a clutch filed with plum wood smoke, only to be removed once it reaches your table in a smoke show that’s only matched by the paired drink: A dry Lambrusco that’s sprayed with some heavily peated malt whiskey. 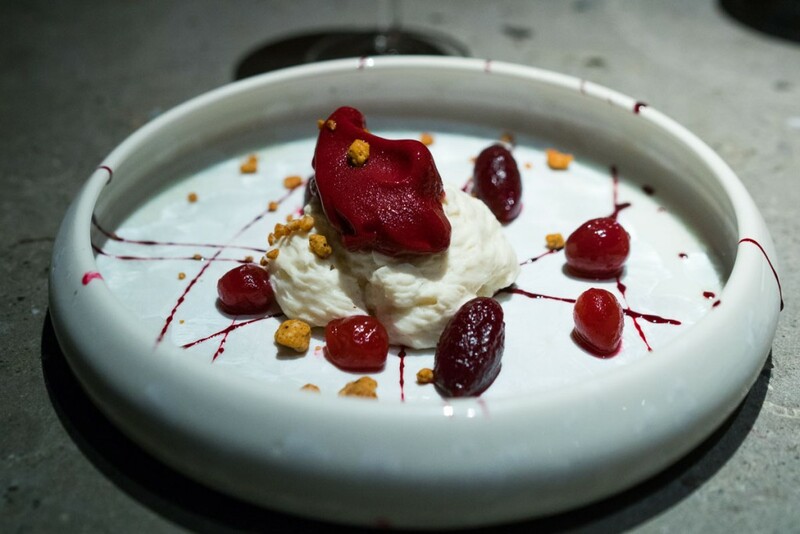 A marvellous showcase of the CODA philosophy and probably the most entertaining dessert in Berlin right now. 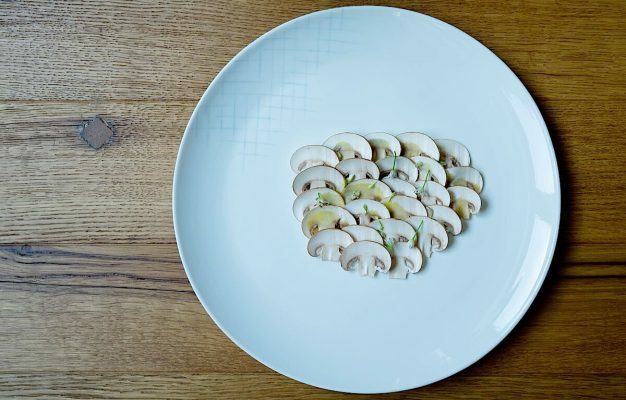 The non-savoury side of CODA can look like the eggplant dish where the vegetable is served in four, sweet variations: slow cooked in oil, cooked in its own sugar, pickled and dehydrated as a chip. On the side pecan nut ice cream, apple balsamico and liquorice salt are served. The pairing? Two sherries mixed together, a dry oloroso and a cream. The result? Stunning. 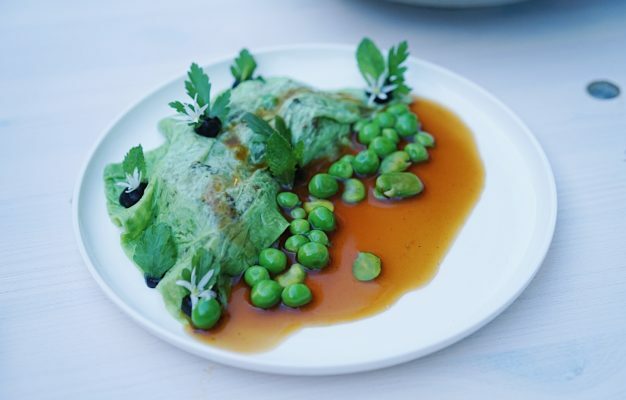 The food at CODA is by no means a full home-run as about the half the dishes on any given visit leave me with questions. I do however truly love the gutsiness of this cooking and I always have a tremendously good time at CODA. Add the fact that this also is a world-class cocktail bar, where Bartender Julian (formerly Becket’s Kopf and Lost in Grub Street) manufactures all mixers and syrups from scratch, and I’ll bet you that the word about Germany’s most innovative cocktail bar will continue spreading like a wildfire.